Some of the brightest minds in technology and design were recently challenged to build original, innovative prototypes based on key women’s mental health issues as part of the Clinton Foundation’s Women’s Health Codeathon series, held at BWH earlier this month. The Clinton Foundation held the first Women’s Health Codeathon in New York this past summer and chose Boston as its second city, partnering with BWH and MIT H@cking Medicine for a three-day event bringing female and some male developers, designers and other innovators together to hack solutions to complex issues related to women’s mental health. Thirty-four participants formed six teams, working Nov. 7-9 on various projects, including the creation of an application using a Jawbone fitness tracker that enables parents and their children in college to connect passively around mood, sleep and fitness. After parents and their children agree to share this data, the application, similar to a Fitbit activity tracker, collects information automatically and passes it along to parents to ensure their kids are doing well. Another application that was created at the codeathon would help connect post-partum women with their family and friends, and share data, such as how well they are sleeping and getting around. The public was invited to attend closing presentations on the last day of the codeathon. Lesley Solomon, MBA, executive director of the Brigham Innovation Hub (iHub), served as one of the judges during the weekend-long event. She said this codeathon was unique because it was a focused effort around a specific disease area: women’s mental health. Female leaders from the technology, innovation and health fields mentored participants and judged the final presentations. 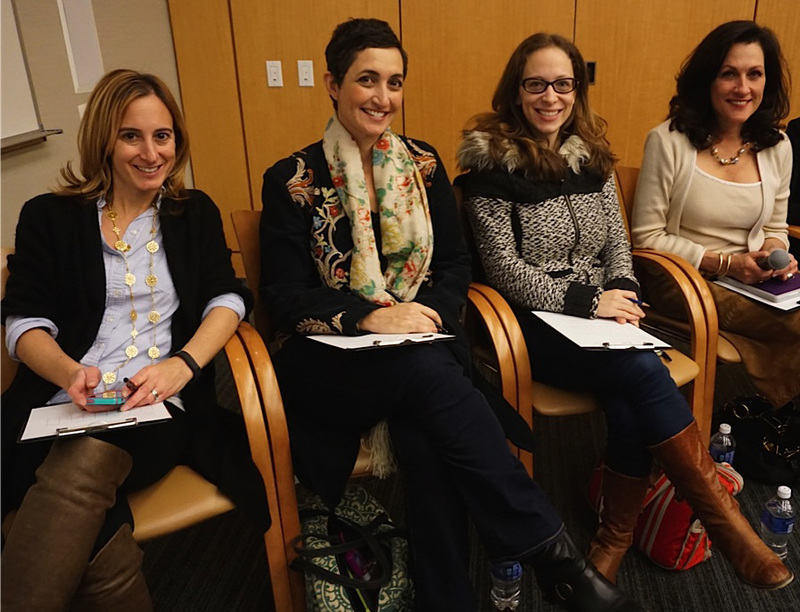 Jill Goldstein, PhD, MPH, director of Research at the Connors Center for Women’s Health and Gender Biology, was one such mentor and worked with teams as they developed particular applications. She said how great it was to see a room filled with people, specifically young people, who really care about women’s mental health. “It takes public platforms like this to raise awareness of the importance of women’s mental health issues and to inspire young minds to work on solutions,” Goldstein said. The winning team, Safe.Me, developed a program that would allow users, specifically college-aged women, to connect discretely with friends via the Jawbone wristband to alert them if their safety is at risk. Solomon said this program is important because an estimated one in five women in college is sexually assaulted. Members of the winning team will now have the opportunity to bring their prototype to market with the help of the Clinton Foundation and the codeathon’s sponsors.